Join the Soul Preaching Newsletter & Get FREE ACCESS to the “7 Steps to A Sermon” PDF! ​Do you need to preach? Do you know how to preach? 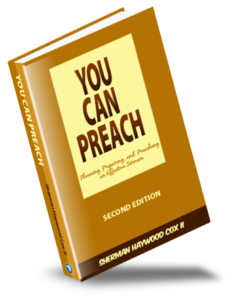 Do you want to learn the fundamentals of preaching? Making use of the African American Tradition? Sign up below to get instant access to the tool that will get you started down that road. Get Instant Access 7 Steps To An Effective Sermon. 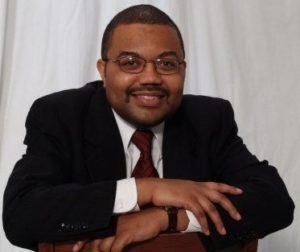 In 2006 Sherman Cox created SoulPreaching.Com to make the things he was learning at seminary accessible to other preachers who may not have had the ability, time, or finances to go. In 2008 he earned the Master of Divinity from Vanderbilt Divinity School. His emphasis was Homiletics. While at Vanderbilt he earned the Certificate in Black Church Studies from the Kelly Miller Smith Institute and he was awarded the Florence Conwell Prize for outstanding work in the area of preaching.